Fire crews were called to Boundary Park in Ramsgate today (February 10) to reports of youths setting light to playground equipment. Crews arrived at 4.29pm following a 999 call. Kent Police say officers attended the scene but no damage had been caused. 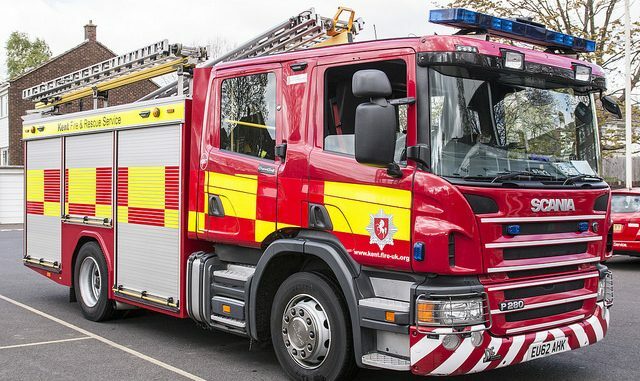 A Kent Police spokesman said: “At around 4.35pm Kent Police officers on patrol in Ramsgate were flagged down by a member of the public, who reported a group of youths were setting fire to an aerosol can near a play area. The schools used to teach “Good citizenship “ telling kids the consequences of crime and vandalism and show how better it is to stay away from crime and anti social behaviour. However the Conservatives abolished it to SAVE money. Idiots. Labour scrapped law and order, didn’t they? Why dont you watch the documentary about Thamesmead, housing estate in London,Labours poo in the crown. Labour did not “scrap law and order”. What an absurd thing to say. There is no training for “good parenting” Gary. Whatever the yobs who set fire to the children’s play area have for parents is anyone’s guess..
It’s about time a by law came in.that public property destroyed or vandalised must be paid for by the culprit/culprits. Liberal parenting and liberal judges are empowering the feral kids and criminals. Criminals and child thugs know they won’t get into serious trouble so break the law without fear of being caught. Until the courts and parents start punishing the perpetrators with stronger sentences and punishments the thugs and criminals will continue without fear. The police catch the scum but the parents and judges then let them off. Perhaps it’s time the parents and judges are held accountable for letting the scum continue to roam the streets with impunity. “Liberal” whether with a capital or lower-case is not an insult.